Ohio-born Joseph Arthur has enjoyed intermittent critical and commercial success since his emergence in the late nineties, when he was the first US act to be signed to Peter Gabriel's record label. Despite, on occasion, being dropped by one label to be picked up by another or releasing singles to a reluctant public in the wake of considerable critical acclaim, Joseph Arthur's talent has endured. And there have been many highs. He has recorded seven studio albums either as a solo performer or with The Lonely Astronauts and he has toured with the likes of REM and Tracy Chapman. Perhaps his most famous song, 'In the Sun', was covered by Michael Stipe and Chris Martin for the hurricane Katrina relief appeal and his music has earned screen credits in The OC, Scrubs, Grey's Anatomy, True Blood, Dawson's Creek and House, among others. Those credits, mostly for 'In the Sun' and 'Honey and the Moon', sum up Arthur's place in American popular culture pretty neatly. His undoubted singer/songwriter talents lean towards folky Americana and a quick blast of any of his most popular tracks is enough to evoke images of JD in Scrubs or the one with the big face in Dawson's Creek. A warm vocal, a new world romanticism and an infectious hook may be exactly how baby-boomer America likes to see itself, which perhaps explains why Joseph Arthur's strains and refrains have found fond allies in the halls of HBO, ABC and Fox. But don't let all this talk of Americana put you off - it's good stuff. If you want proof, Arthur is bringing his talent to these shores in May with four dates, beginning at Manchester's Band on the Wall on Monday 2nd May. He'll be at The Louisiana in Bristol the following night, then the Brighton Ballroom before closing the mini-tour at London's Bush Hall on Thursday 5th May. His reputation as a live performer goes before him; sampling, looping and improvising his way through one-off sets that have seen him win legions of fans. 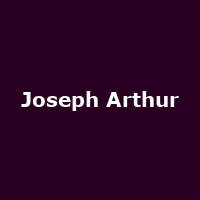 And with a new record due in 2011, it's seems as good a time as any to find out what Joseph Arthur is all about. Tickets are on sale now, costing £15 for London, £12.50 for Manchester and just £11 for Brighton and Bristol.